When I was a little girl, one of my favourite books was Charlie and the Chocolate Factory. What child wouldn’t be intrigued by a chocolate-coated fantasy filled with extraordinary sweets and bright characters? I read that book at least once a week for my entire childhood. I’ve also been a fan of the films for many years. Recently, on a journey down memory lane I got to thinking about the characters in the book, and I was inspired to create a set of outfits with a Willy Wonka theme. The outfits are as fantastical as the characters themselves, dripping with sugar-coated accessories and candy-bright colours. 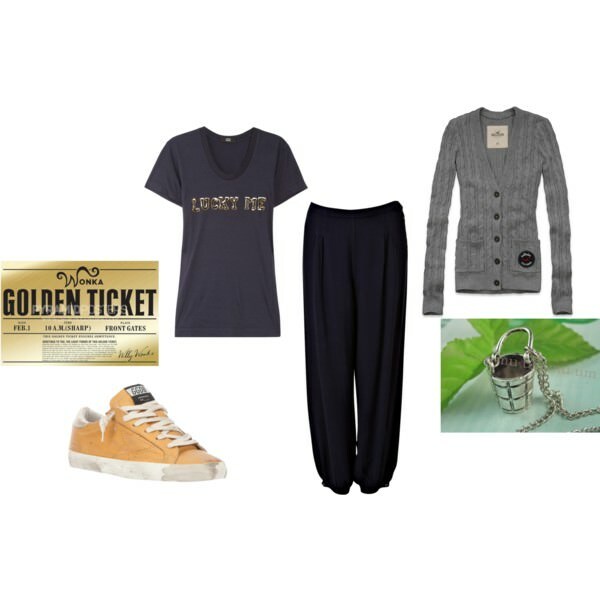 The first outfit is inspired by the golden-boy hero of the tale: Charlie Bucket. This is the perfect outfit to don on a day when you feel as though something wonderful is about to happen. Charlie is a symbol of hope and wonder. He’s an everyday boy who is lucky enough to grab a glimpse into a magical world. Pair comfy trousers with a tee and a slouchy cardigan for a street-kid edge. Add a sprinkling of gold accents to top off this fortune-tempting outfit. Are you a bit of a diva? Do you long to get your own way? Are you drawn to the finer things in life? If so, take a style cue from Veruca Salt. Choose rich, sophisticated pieces with a little-girl edge. A peter pan collar, a pair of mary janes and a heavy fur coat act as the basis of your outfit. Add a smattering of precious jewels and finish the look with long, immaculately manicured nails (the kind that make it look like you’ve never done a jot of housework). Then, prance outside with a haughty expression and demand that the rest of the world bend to your will. You might not make many friends, but you’ll have the cashier at your local candy store cowering in your presence. There’s nothing wrong with a little bit of healthy competition, unless that competitive streak starts to get out of control. If you’re up for a challenge you should take your style inspiration from Violet Beauregarde. You’ll want to be sure that your outfit features plenty of inky blue pieces, a bright shade of blueberry is best. 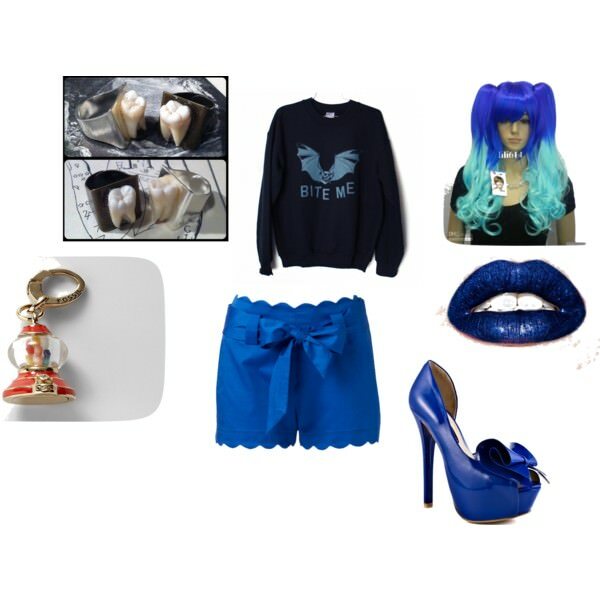 Throw on a blue wig and a vibrant blue lipstick for a dramatic effect. Violet’s favourite candy is chewing gum, and she’s never without a piece. Carry this love of gum into your outfit with accessories that feature gumballs and teeth. We all love candy and sweets, but some love them more than others. If you’re a bit of a sugar-freak, then this Augustus Gloop inspired outfit is just the thing for you. Start with a pair of lederhosen: a little nod to Augustus’s German heritage. Then, add plenty of candy-themed extras: a pair of candy-cane striped socks, a lolly-printed tee shirt and sprinkle-coated nail polish. Don’t forget to grab a backpack to finish off this outfit, it’s the perfect hiding place for your chocolate stash!  Are you a bit stroppy and cranky? Would you rather blot out the noise and irritation of the outside world with loud music and continuous bouts of telly-watching. If so, then you’ll love this Mike Teevee outfit. Mike is the ultimate couch potato. When he’s not able to be at home in front of his idiot box, I can imagine him walking about wearing a pair of massive noise-cancelling headphones. He’d hide his square eyes behind a pair of dark glasses. The outfit has a cowboy theme as a nod to Mike’s love of cowboy hats and toy guns. And finally, what could be more fun than dressing up as Willy Wonka himself? Choose elegant-yet-eccentric items in jewel tones like emerald and royal purple. Jewellery should be richly coloured and slightly reminiscent of boiled sweets. Finish off your candy-man outfit with a top hat and a pair of enormous glasses. Who is your favourite Charlie and the Chocolate Factory character? Which one would you dress as? Violet’s is perfect!!!! Those teeth rings are killer!! I love them, don’t you? I have a weird fascination with teeth. They kind of gross me out, but at the same time I think they look awesome. Ohhh! I love what you chose for Veruca!! I love the Veruca Salt outfit! She was my favorite even though she was a spoiled brat. Thanks! Veruca was always my favourite as a little girl.